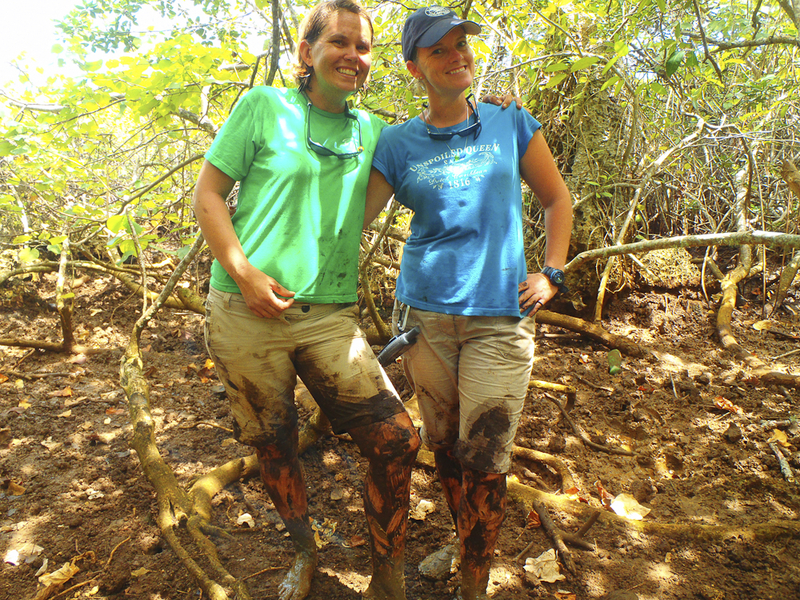 This past week, myself and Kate, who is here to work on a turtle conservation program alongside VEPA, were invited to join the mangrove monitoring workshop with Ministry of Environment and Climate Change. 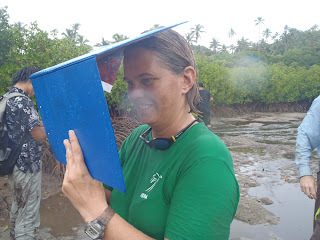 This monitoring program involves placing transects in the mangrove areas and mapping the data on the QGIS software. 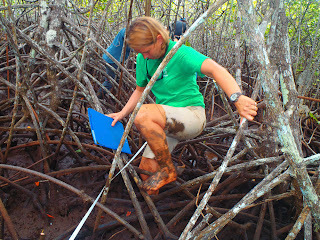 Sounds pretty clean until you end up to your knees in the anaerobic mud that the dense mangroves live in. 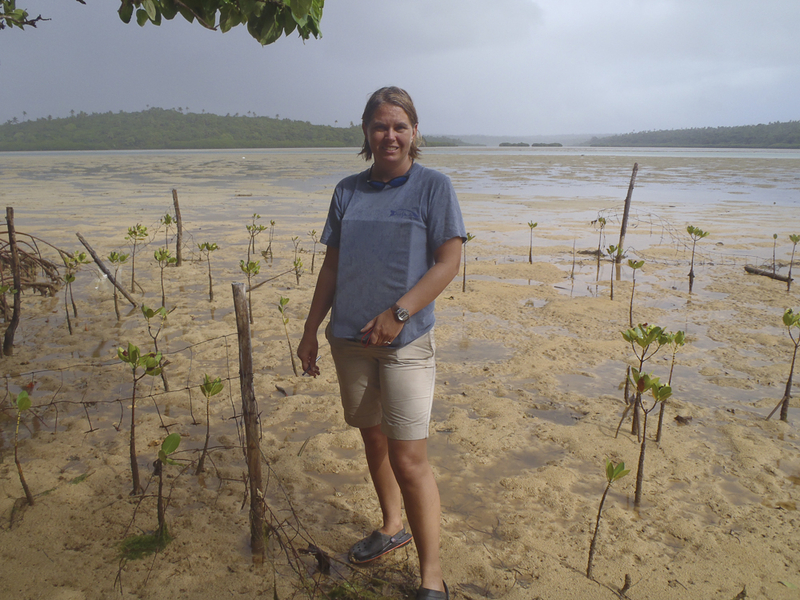 Vava'u is lucky with some very healthy mangrove sites and the impacts that we have found on our first three sites have been minimal. 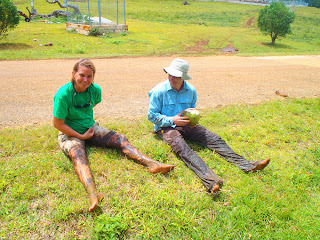 The project is part of the MESCAL program and Paul from SPREP was here for the training. 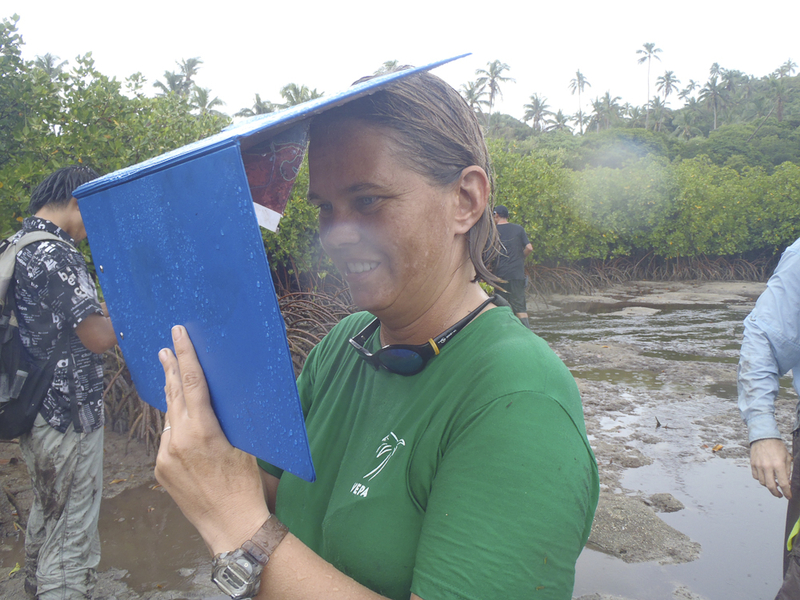 The impacts that we see here include some bark stripping that has become unsustainable in small areas, this is when the bark is stripped completely around the mangrove tree. Sustainable stripping is where only a portion of the bark has been stripped but the tree can then continue to grow and live. Other impacts seen are caused by external factors such as the design and building of causeways which are restricting water flow and in one case where the flow has been completely cut off has prohibited regeneration due to the lack of tidal movement. 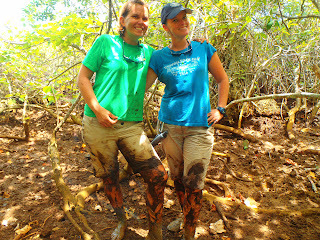 Some areas are wonderfully healthy and a great show of mangroves. Some interesting facts that we have found is increasing the distribution of a Tongan mangrove species that has now been identified here in Vava'u aswell as a potential hybrid species. MECC and VEPA will continue to monitor the mangrove health, impacts and growth through these transects to see the effects towards climate change. This is a great initiative funded through IUCN, and Vava'u now has a great team to keep us this good work between the Ministry and the NGO. This is awesome! It's so great to see support coming in from international conservation orgs such as IUCN, and also to see MECC taking proactive steps in Tongo conservation and protection. Good to see the team collaboration by both MECC & VEPA. Mālō Karen!